Wondering how to get your potential donors excited about your FundMyTravel campaign? Well, worry not! FundMyTravel has created a simple way to get everyone who visits your page pumped to support you and your travels. Here’s the secret: Create donor rewards. These incentives are an easy way to give back to anyone who has funded your travel dream and might convince Aunt Susie to bump up her donation level a notch. Check out these seven examples of awesome donor rewards – feel free to copy them for your campaign or get inspired to create your own! 1. Hello from (your destination)! Who doesn’t love getting mail? One of the easiest ways to say thank you to your donor is to send them a postcard from your travels or write them a short thank you note. Whether you’re going to Budapest, Bangkok, or Boston, sending a quick postcard or handwritten note is a great way to say thanks! Some of our favorite ways to do this are to send a handwritten note before you leave, a postcard from the place you are staying, or a postcard from one of the cities you are visiting that a donor selects. Another great idea is to draw your own postcard and send it to your donor. If you love making videos, here is a great way to show your donors you care as well as show your creative side. The video doesn’t have to be a long one – it can be just a quick shout out to the person if you’re strapped for time. 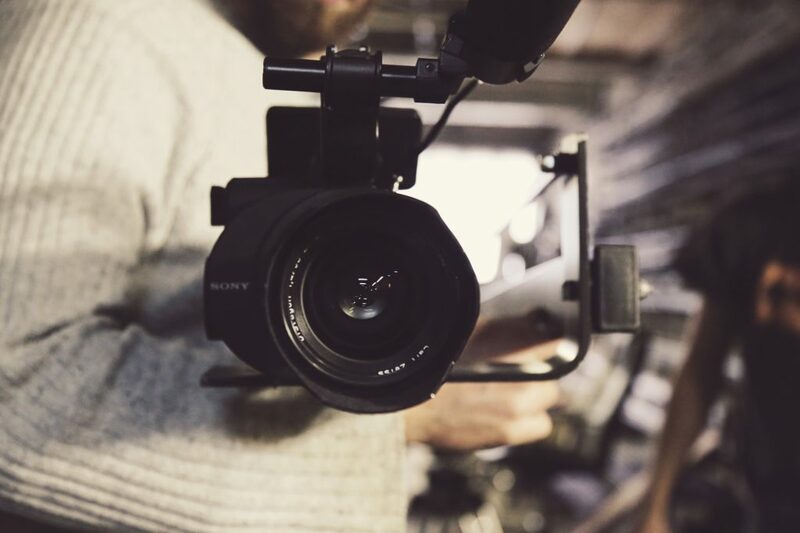 Videos are a great way to connect with your donors without having to meet them in person. Your donors will love knowing that you have seen their donation and that you appreciate it! Facebook is prioritizing video, especially live video through their platform, so that’s another thing to consider. Your thank you video could go viral and lead to more donations! One of our favorite ways to do this is to dress up in the climate and environment of your destination and give a shout out to the donor. Creating a video about why you’re thankful for the donation and what the money will go towards is another excellent way to show you appreciate their donation. A really easy donor reward is promising to take a picture for your donor during your travels. It doesn’t have to be as extensive as taking multiple pictures, but if you can swing it, we love this example! It is an easy way to show your donors what you are doing abroad as well as let them know you are thinking about them. If you can’t take multiple photos, you could ask them what they’d prefer in their shout out photo. Landscape? City shot? Food? Adventure? Some of our favorite ideas include taking a picture at your favorite piazza or favorite landmark. This is a great way to say thanks as well as show your donors you are thinking of them and how they helped sponsor your trip! While traveling abroad, you are bound to see a souvenir here or there. 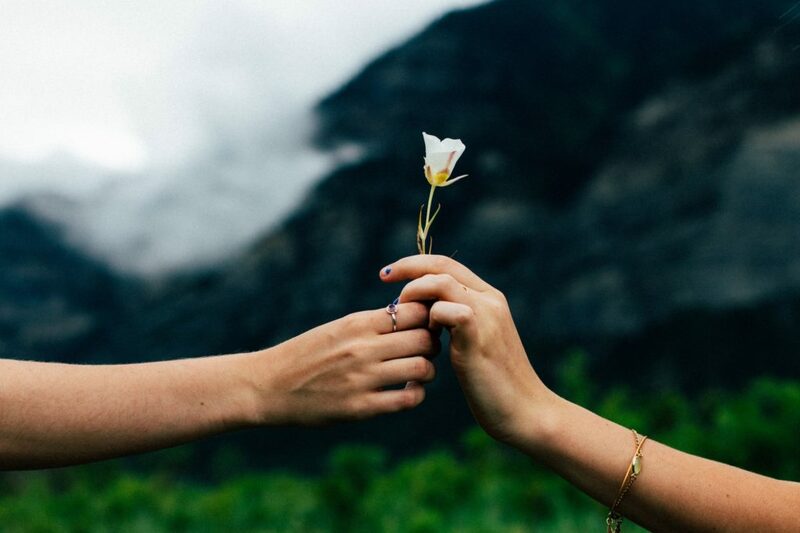 A great way to say thanks to your donor is to promise to bring one back. Souvenirs are a great donor reward because they can range from anything big or small. The key is to not be too cliche, and also not to break the bank. This will be easier for the donors you know well – someone who loves tea, coffee, chocolate, or magnets are the perfect fit! Some of our favorite ideas include a staple souvenir from that country or a souvenir that represents their culture. From chopsticks from China to a mini Eiffel Tower from Paris to a seashell from Brazil. This is a great way to personalize your campaign and make it unique to your abroad trip. Even if you are about as tone deaf as we are, a great donor reward is to write a song. Writing an original song about your donor or your trip is a great way to engage donors. In some cases, the worse the song, the funnier it will be! If music is really not your thing, you can explore other hobbies – craft, draw, bake, sew, or crochet for your donors. The list is endless! This is a great way to show your creative side as well as show your donors you are passionate about meeting your goal. Some of our favorite ideas include: holding a concert, promising to draw some kind of picture, and selling baked goods from the country you will be visiting! No idea is too small when giving back to your donor, so get those creative juices flowing! One great idea we have seen in successful campaigns is to push your comfort zone and do something adventurous that you might never do in your normal day-to-day life. An easy way to get donors involved is to include them in the process. Look for experiences that are adventurous, funny, or active! It could even happen before you leave or during your travels. Some of our favorite ideas include: For every 10 dollars donated you will run a mile or wear a crazy outfit. You could even tell donors you will dye your hair or go skydiving if they donate a certain amount of money. The sky’s the limit (literally)! So get out there and do something for your donors. Running a contest might be the perfect way to get your donors involved. Everyone loves a little competition! You could have people vote for something related to your trip – which excursions should you choose? What volunteer project should you support? Even something as big as which country you should visit! One way to set up the contest is to have people vote with their donations. Whichever choice gets the most donations is the one you will choose! You can keep a running tally in the FundMyTravel Updates section and let people know the last day of the contest. Another idea is a contest where the person who shares your campaign on their social media the most gets a special reward. So whether it’s doing something adventurous or promising to send a postcard, donor rewards are a great way to get your network involved in your campaign process! It also shows you are dedicated to raising your goal amount and willing to make an effort to fund your meaningful travel experience. So don’t forget to add donor rewards on your campaign and remember some of the simplest ideas can make a huge impact. Megan is a senior at Colorado State studying Marketing and Media Studies. 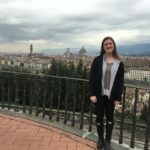 Megan recently got back from studying abroad in Torino, Italy where she had the chance to travel to 10 countries and 28 cities. Megan loves a good book and gelato that is bigger than her head; however, her favorite thing is traveling and she can’t wait to see where her next adventure will take here. Megan is currently a FundMyTravel Marketing Intern with GoAbroad.com.